At Christmas one of my friends (thanks, Susan) gave me a page-a-day calendar with horses on it. It also includes lovely "messages" which I thought I would share with you from time to time. Happy Sunday, my friends. I am enjoying the comments you are leaving! Thanks so much! Have I mentioned that I'm weird? Here's proof. 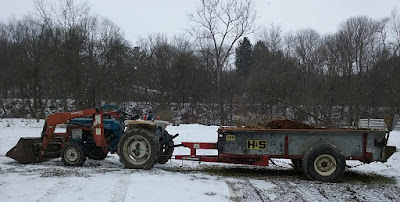 Usually I just load used bedding into the bucket of the tractor and sometimes I actually dump the bucket into the manure spreader. Today I got to do that...and more! I successfully hooked the tractor to the manure spreader AND got the Power Take Off correctly attached! First. Time. Ever! I refuse to get a selfie stick, so this was the best I could do. I wanted you to be sure that it was actually me who did this feat of daring-do! I have been appliqueing this week, but nothing to show quite yet. Let's just say there are a couple new classes in the works. That's it for now. How was your Saturday? P.S. I am listening to The 14th Colony by Steve Berry, and just finished Pirate by Clive Cussler. What's In Your To-Go Bag? I know it's a not so well kept secret that I love hand piecing (okay, hand applique and hand quilting too). 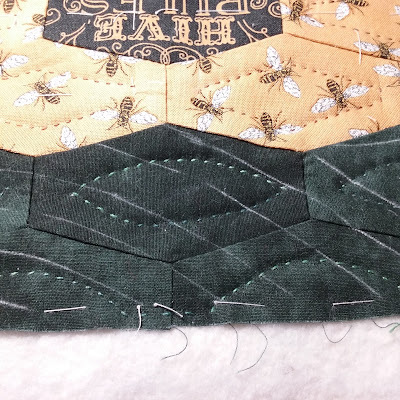 Having recently changed to a larger purse, I wondered if I could make a hand piecing kit that was not bulky, but carried everything I needed, without resorting to a tote bag. On Etsy, I found this Open Wide zipper pouch. The horses were a bonus! It's extremely well-made. Here's the link to Denise's shop: Hot4Handbags. When opened, look how well you can see in! No more Braille method of finding what's in my bag! 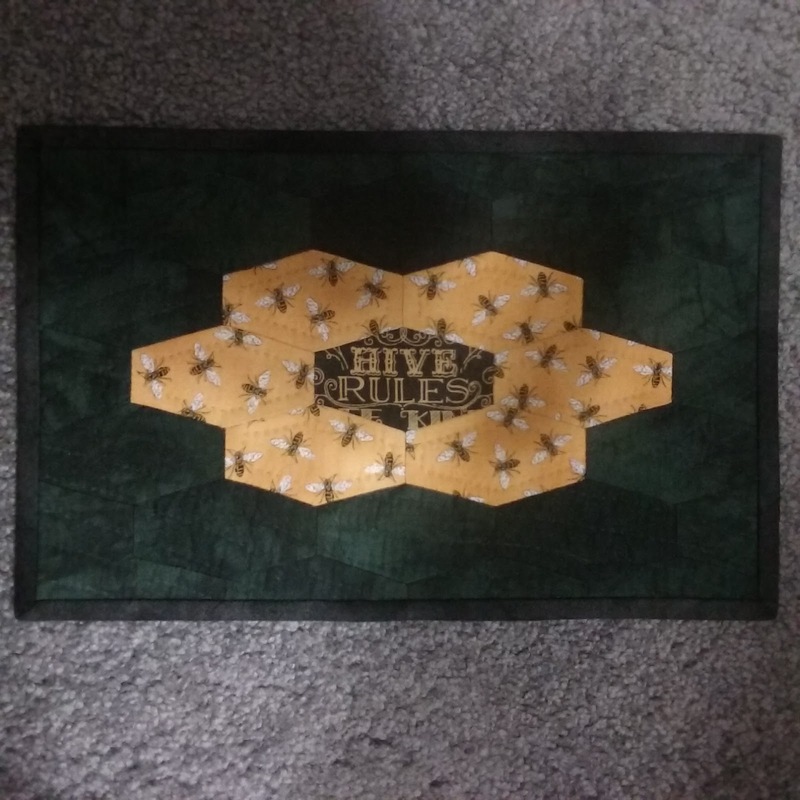 A bit closer look inside. And still room for the project to grow or to add other things. I am not adding cutters or markers, templates, etc. to this bag. Everything is ready to go and sew. And here is what was in it. Post-its and a pen, rows of cut and marked pieces clipped together, one row ready to pin and stitch, a small tin, and a dumpling bag. In the tin are a spool of thread, small scissors, a finger pincushion with my favorite hand piecing pins, a thimble and a packet of needles. Neat, tidy, no rummaging in the bigger bag for what I need. In the dumpling bag are Clover Mini Clips. Also note how small this piece is and yet how wide it opens. The whole big bag fits in my purse and I can sew anywhere! My suspicion is that the bag is just big enough to lay in my lap and be used to elevate my work or park things on. What do you carry in your to-go bag? P.P.S. Jocelyn, time is running out to claim your prize! Please email me. I started the day working on new class handouts. One thing led to another and... Voila! A mug rug or candle mat...whatever! 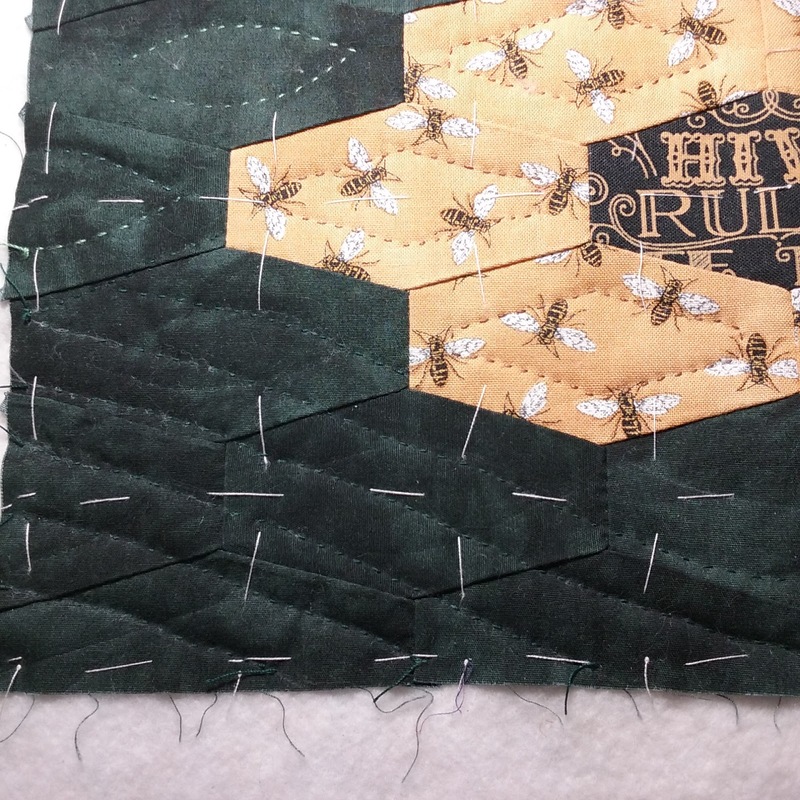 I hand pieced the thimbles and hand stitched the binding to the back. The rest was done on the machine. Yes, machine quilting again. 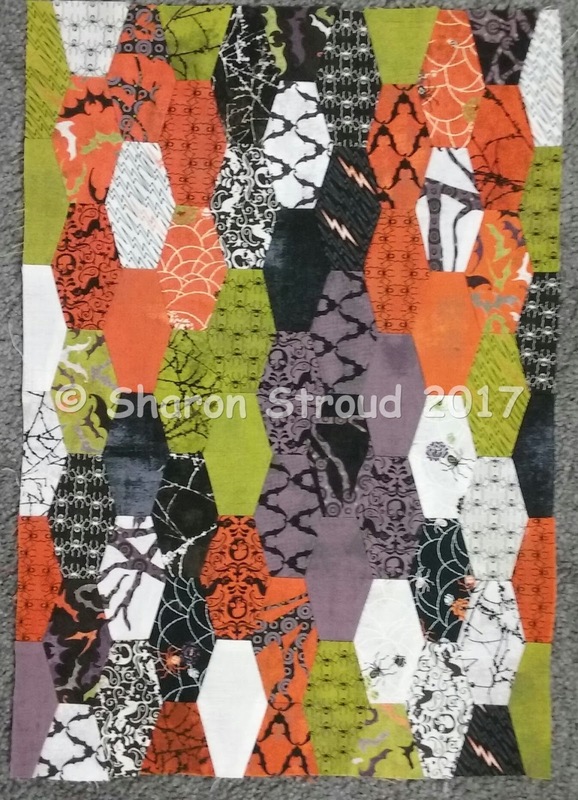 Don't worry, hand quilting is still my first love! Plus, this evening I have cut, marked and arranged 42 more thimbles for another sample. These smaller pieces are just so much fun. Did you know that I originally started out making minis? Right after my first quilt, a king-sized log cabin! 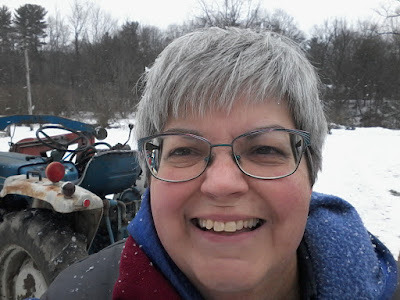 Still cold and snowy here. Into negative degrees with the wind chill. P.S. I am listening to another John Hart book, Down River. I have to say he is an excellent writer, and I have a hard time turning the CD player off to go to bed. And just like that, we have two winners! Susan M and Jocelyn were the first to comment on the blog for 2017! Jocelyn, please send me your snail mail address (to sharonatsharonstrouddotcom) so that I can get your prize out. (International is fine.) Do you have a favorite color? So, loyal blog readers, the key to winning these random prize drawings? Commenting! There may be one prize or many. It may be the first one to comment or a drawing from among all the comments on that post. Frequent drawings...or not. But you can't win if you don't comment! After these two ladies have received their prizes I will show them on the blog. Prizes will vary! So, congratulations, Jocelyn and Susan! This piece was actually finished on New Year's Day, and is hand pieced using prewashed charm squares. I had a great time arranging the pieces--see the flowers? Another small piece is almost done and I'll share it when it is the second new flimsy of 2017. Guess what I did recently? I watched all 11 seasons of M*A*S*H. One right after the other. Great knitting time from Thanksgiving to yesterday. I love the slapstick comedy of the first three seasons and then how the characters grow from four to eleven. Oh, by the way, did I mention that there will be random give-aways this year here on the blog? I didn't? Well, now you know. For me, nothing compares to colored glass in windows. Cobalt, depression pink and green, cranberry, you name it. January 2 and I already feel like I am behind for the year! I have updated the schedule here and on my website. 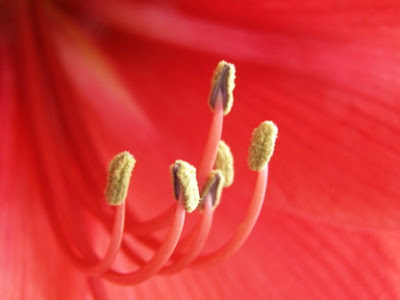 And I have added several new sites to my blog list. In the midst of this changeable weather, I thought I would share this pic. 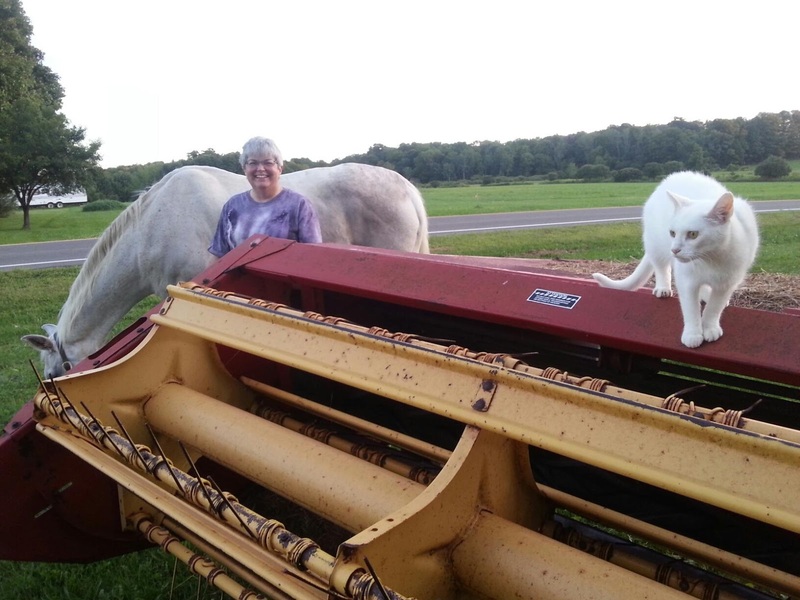 It's in the summer, during haying season. That's me, Lacey (30+ years old) and Luna, one of the barn cats. P.S. I am listening to Gone Again by James Grippando. In early December I finished hand piecing this coffin piece. I basted it and started hand quilting it. I drew the leaves freehand and quilted them with a Sulky Blendable 12 wt. 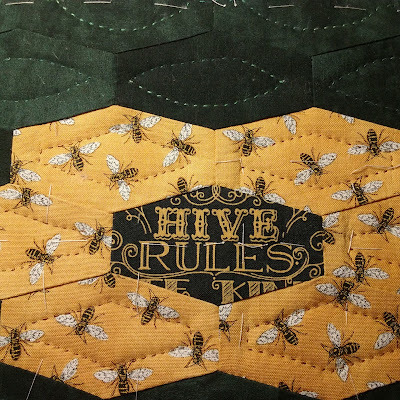 A hera marker and ruler were used to mark the "bee" pieces, quilted with a 40 wt. cotton. 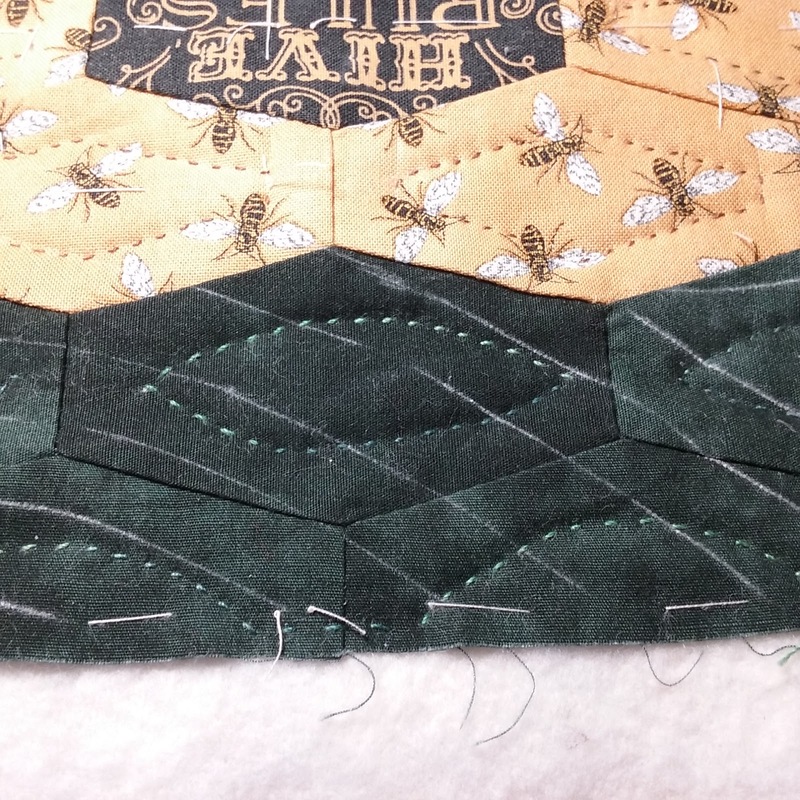 Here you can see the leaf quilting and the new lines to be quilted, marked with a Clover white Chaco-liner. 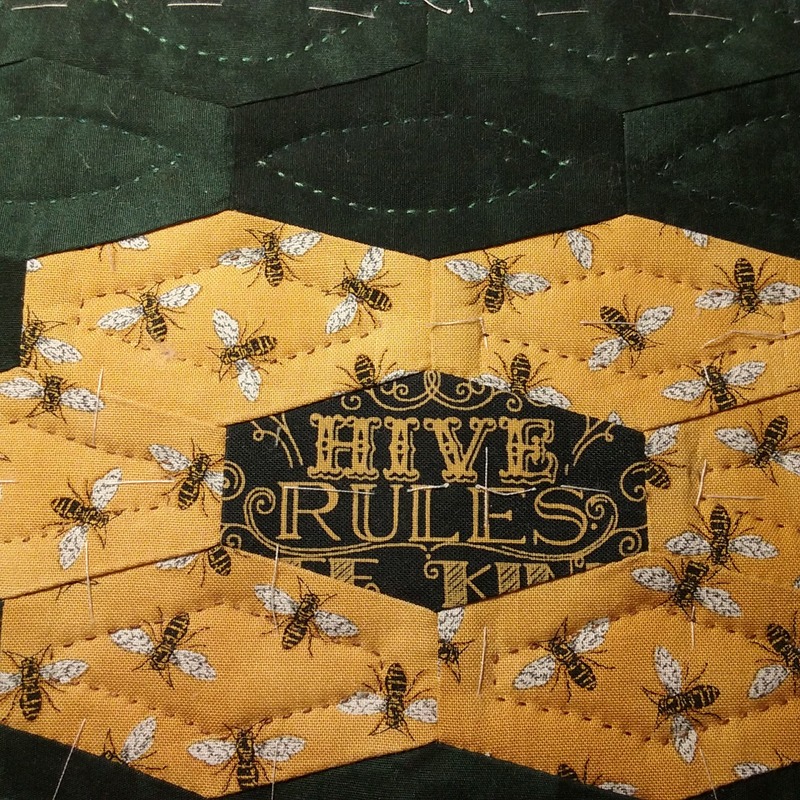 I even requilted the bee fabric with a slightly more matching thread. And here is the result. I am so happy that I followed my instincts and requilted this piece. I probably shouldn't mention that this is not the first time I have requilted something, should I?